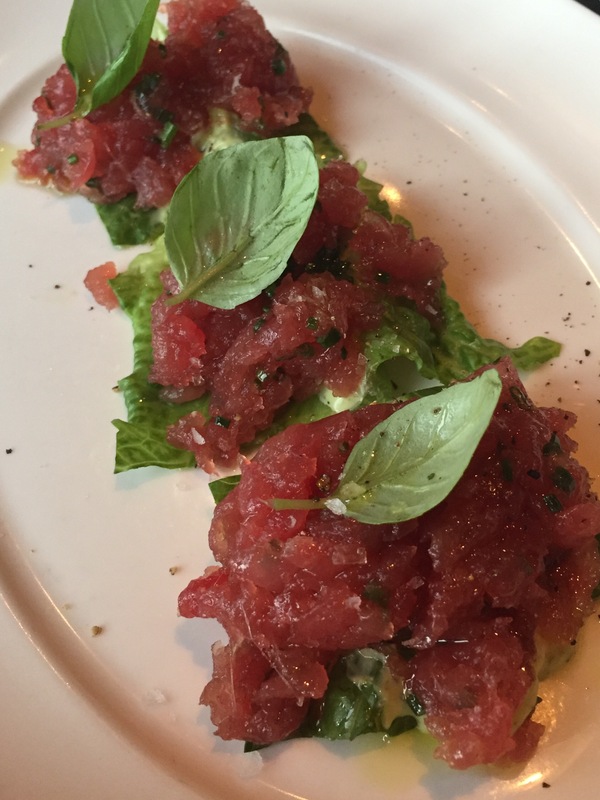 During four days in Chicago, I managed two trips to RPM Italian. How’s that for a review. On night one, the Gent and I had a delicious date night. The meal was so tasty that it prompted me to return before the Psychedelic Furs show to try the few things I’d failed to on night one. Basically, I’m seeing a man who doesn’t like buratta. This could be an excusable offense in many cultures, but I just decide to eat it alone instead. On my solo return I wanted to start wtih something fresh, the Dour Rose. 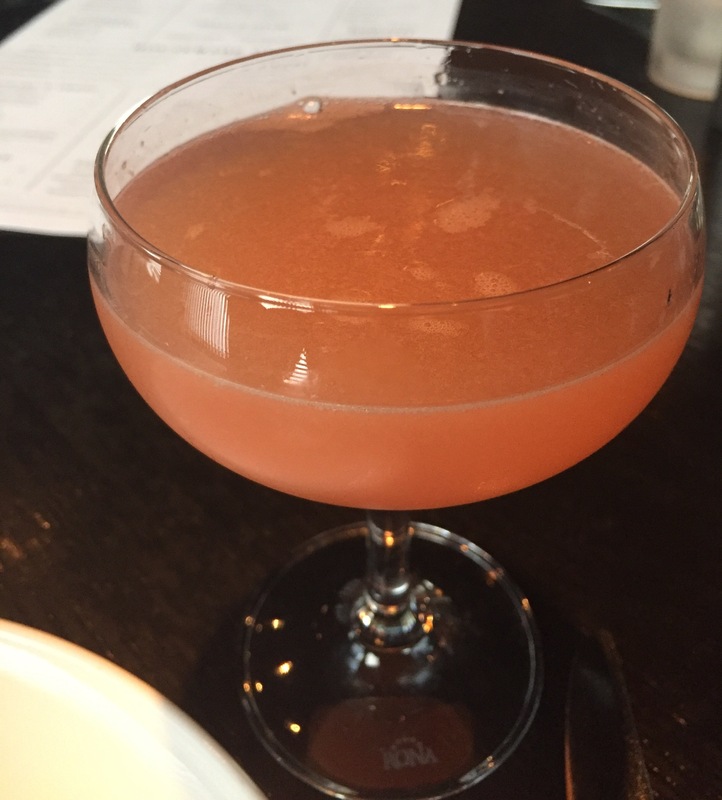 It was comprised of Cocchi Rose, Beefeater, and grapefruit. While it was tasty, I didn’t love that it was a signature drink and had no garnish or interesting presentation. Next up was the burrata, over a bed of not that spicy giardinaria. 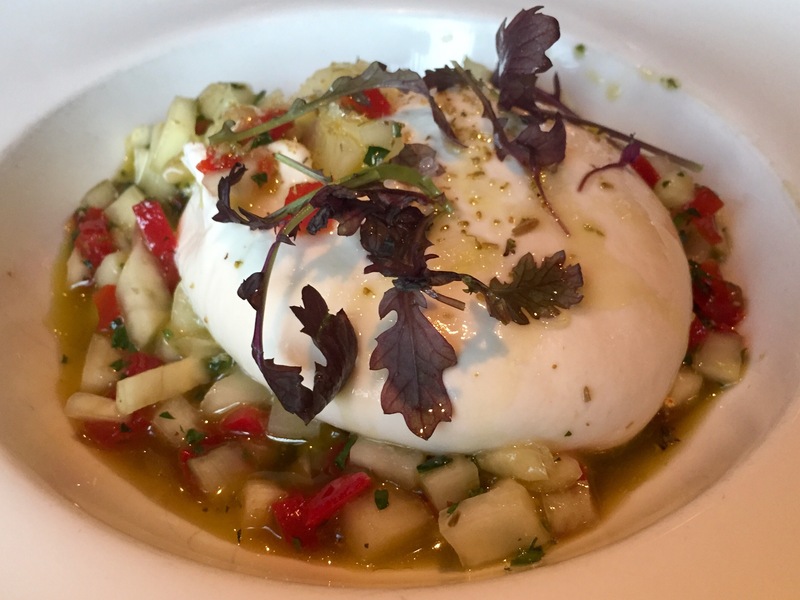 I REALLY hate to say this, but this was the first burrata dish I haven’t cared for. The cheese wasn’t salty and the underpinnings just didn’t work for me. Good thing I didn’t order this with the Gent. At this point, my waitress and I had the conversation that she eats here all the time solo and takes lots of leftovers home. Early dinner, concert, drinks, leftovers… sold! I’d do the same. So, I ordered the foccacia which came with whipped lard. Sounds so gross, but was the ultimate indulgence. Sorry, not sorry. Next up was the tuna with a basil sauce. This was supposed to be served as a bruschetta (and was much better that way on night one), but I was worried about my bread intake (haha) so I had them put it on lettuce wraps. 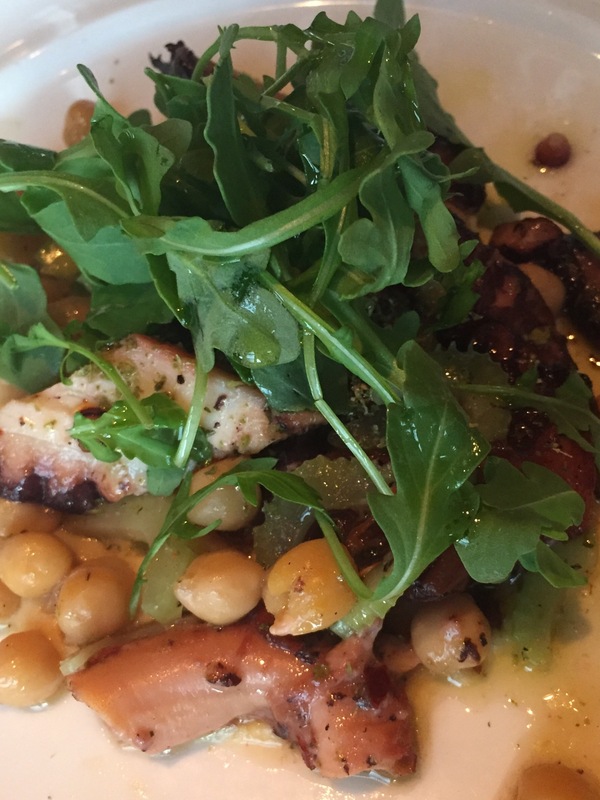 Next came the star of the show, the grilled octopus. 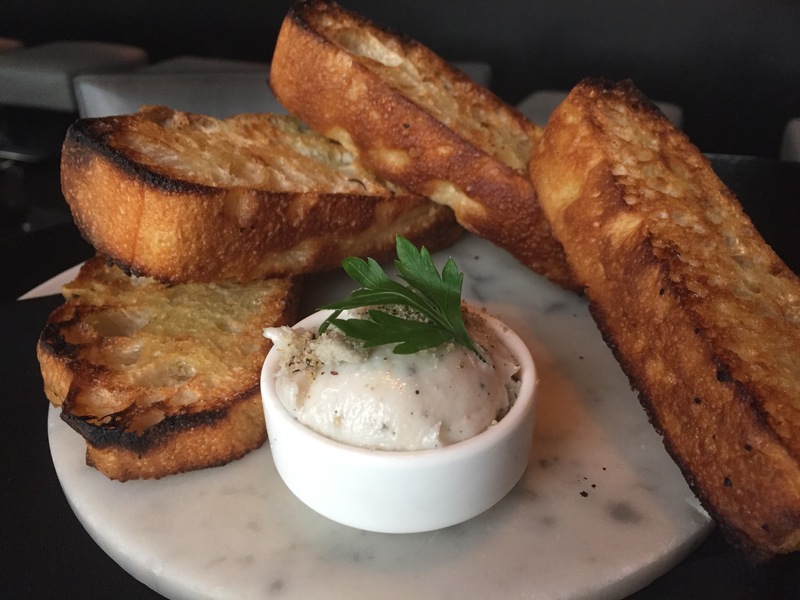 We may have had two orders of this on night one – it was that good. 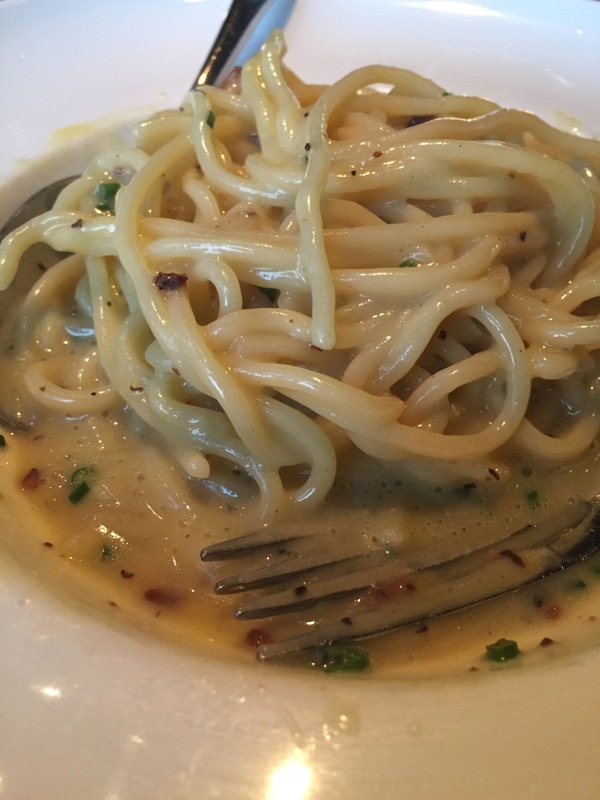 Finally, the carbonara. All for me. No sharing this time. I had a couple glorious bites and took the rest home to enjoy post show, in bed, while watching Say Yes to the Dress. Yes, to this mess. 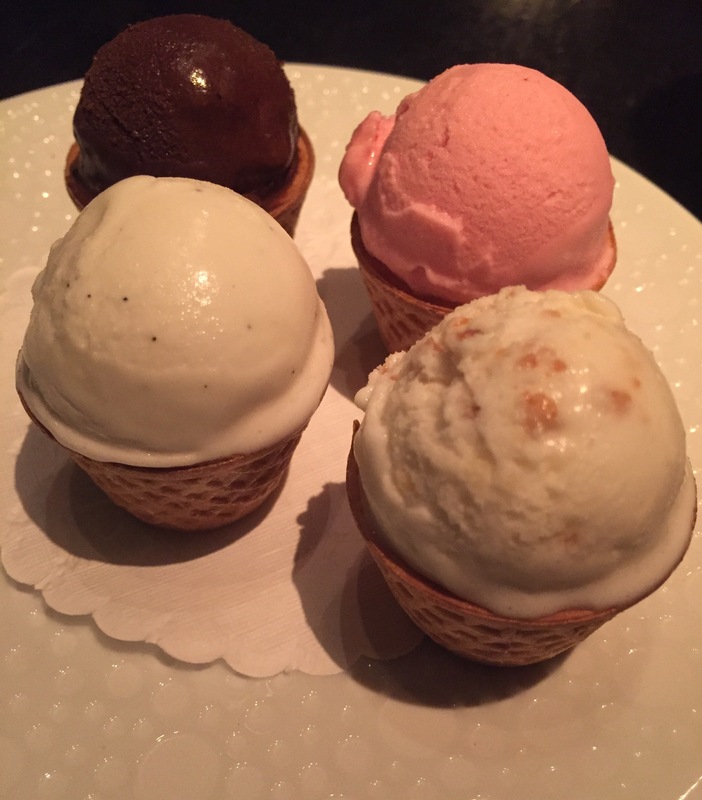 To make matters even better, they send you mini ice cream cones with your bill. No calories in mini dessert.